Accidents, motor vehicle collisions, falls and work place injuries can have a wide range of consequences, some of them quite severe. 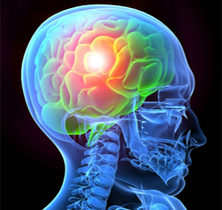 Among the most serious and debilitating injuries The Goodheart Firm handles are traumatic brain injuries. A traumatic brain injury, or “TBI”, is defined as any trauma or blow to the head that causes an impact on the normal functioning of your brain. The Goodheart Firm believes this simple description does not fairly represent the pain and impact these injuries can inflict. TBI’s come in all forms, from severe to “mild” and some are even unrecognizable to the general public. However, The Goodheart Firm knows that there is no such thing as a “mild” brain injury for the person who sustains a TBI and any brain injury has a severe and debilitating impact on its victim. Even a mild concussion can result in a permanent brain injury requiring ongoing therapy and treatment. A TBI can cause someone to lose their ability to think clearly, make decisions and complete simple tasks that were once easy. Personality changes and depression can result from a TBI. A TBI can force someone to lose his or her independence after previously living a normal and healthy life. These changes are hard to comprehend and even harder for victims of a TBI to deal with. These issues not only affect individuals but can have lasting effects on families and others around victims of a TBI. The Goodheart Firm knows and understands these consequences and challenges and has experience helping its clients through them and obtaining the support and care TBI victims need to continue their lives. When your TBI is caused by someone else’s negligence and misconduct, you have a right to pursue justice and compensation for your injuries. A TBI doesn’t just cause significant pain and discomfort; treating it is an expensive proposition and it can prevent you from working and functioning as you once did. The Goodheart Firm knows that you should be compensated and cared for when you have suffered a TBI as an innocent victim. The Goodheart Firm works with its brain injured clients to get them the compensation they deserve and the specialized medical care and rehabilitation they need. 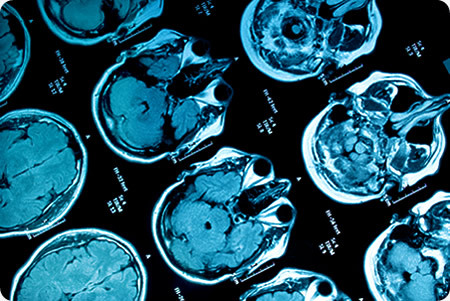 If you or a loved one has suffered a brain injury, please Contact The Goodheart Firm today to speak with an experienced brain injury lawyer and for a free case evaluation. There will never be a cost to you unless a financial recovery is made on your behalf. We will handle your case with passion, personalized attention and the support you need to handle a difficult situation.